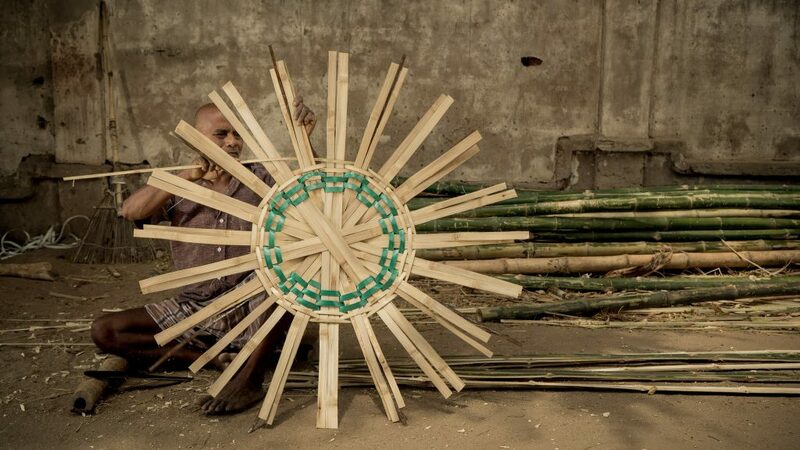 Basket weaving is an art, and Pollachi has quite the canvas for it. 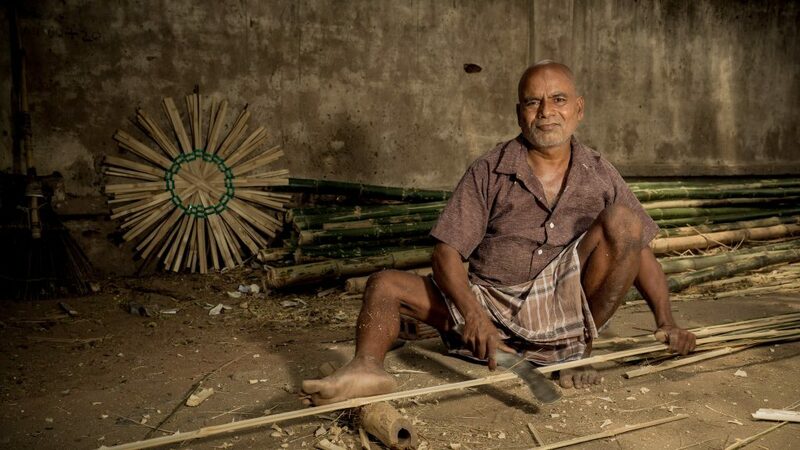 We headed to a local basket weaver to witness his way of life and work. 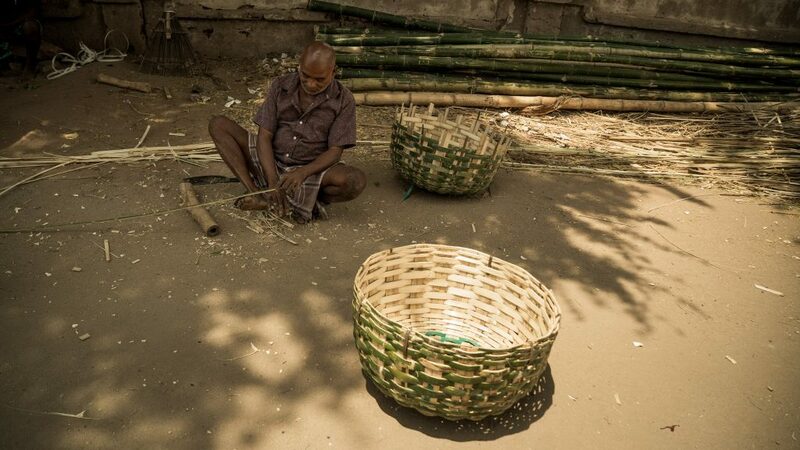 From breaking the bamboo to twining it into a beautiful basket, he was on a roll once he started working. We waited patiently until he finished one, to listen to him. 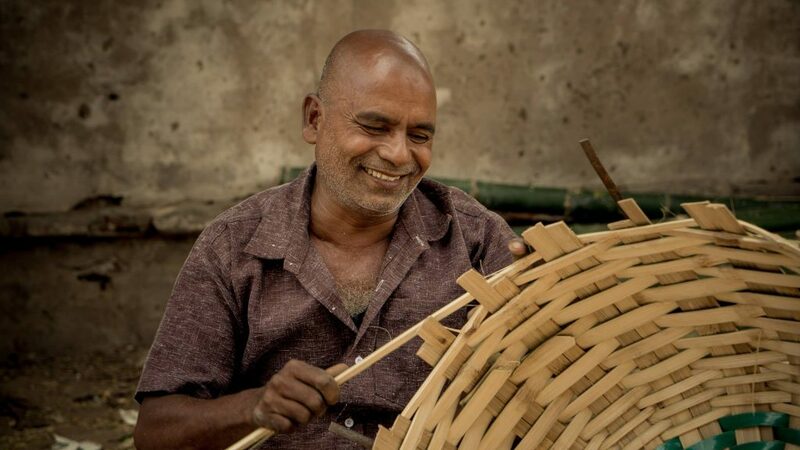 Velan, the skilled weaver opened up then, “I have been into basket weaving since I knew, say from the age of 10. It runs in my blood as a tradition, since many generations. Earlier there used to be around 100 weavers on this same road. 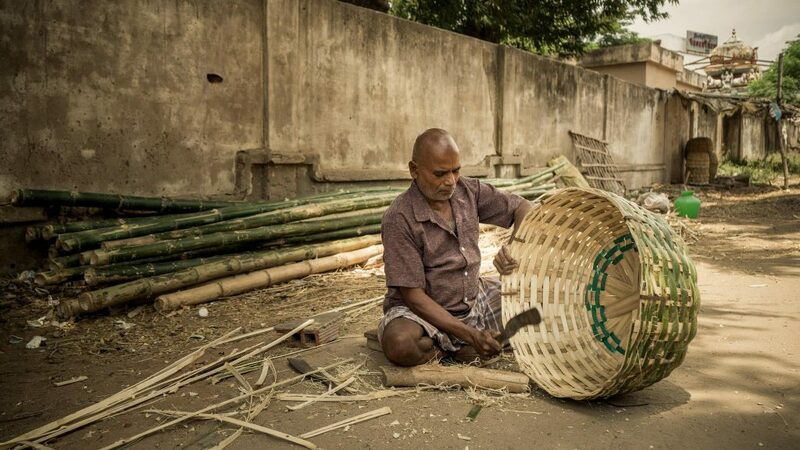 But with the advent of plastic/tyre materials used in basket making, our natural craft is slowly dying. As you can see, there are only 4-5 weavers left on this street that once buzzed alive. 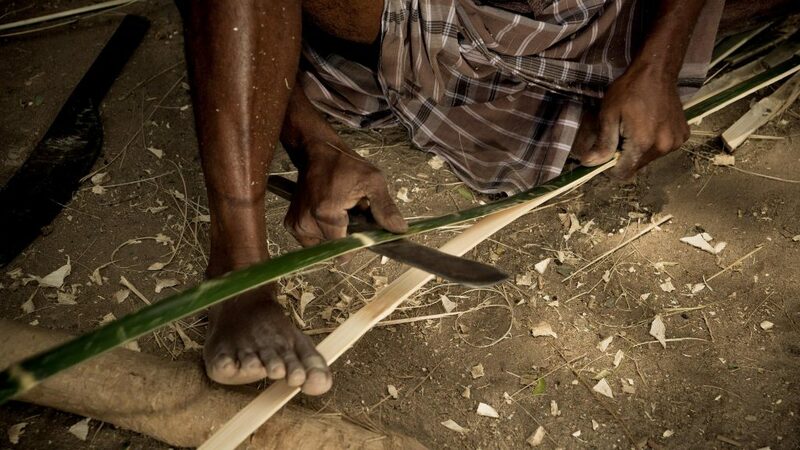 Products made from natural and sustainable materials are always good to the environment but people do not realize it. They are after plastic today. It’s so hard to survive with our skills hence in these times. Our children are well trained but no one wants to take this up. They want to move away into the cities and pursue a different kind of life”, he said. His voice was deep and his words reflected the fear of an artist whose skills are of no values in this economy driven world. 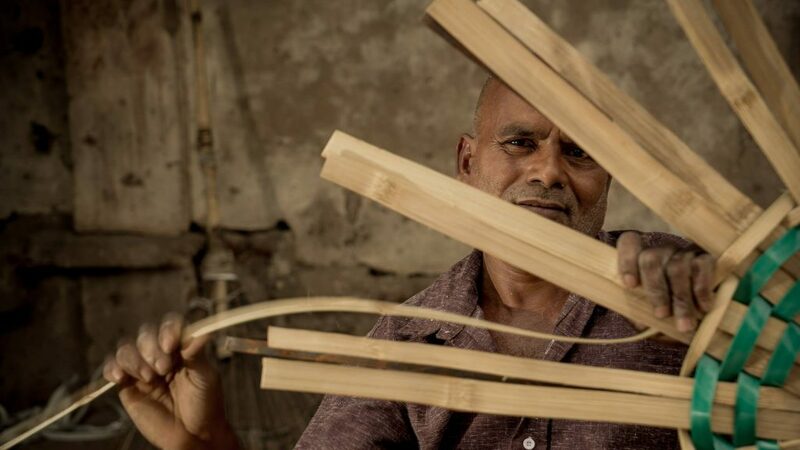 Indeed a tough time for our hand crafts, and wish the public/goverment/system/individuals come together to support their cause for good.